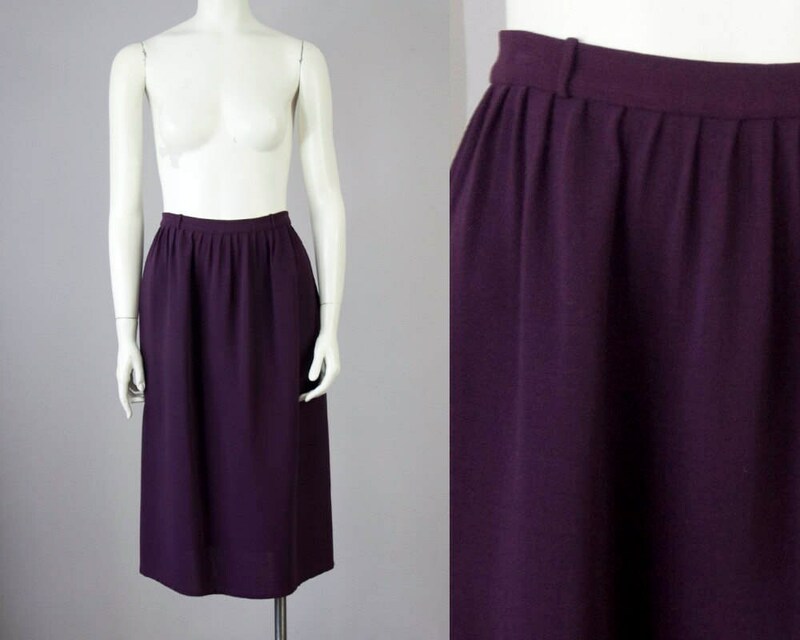 70s vintage designer André Laug for Audrey midi skirt. Beautiful sophisticated deep eggplant color. 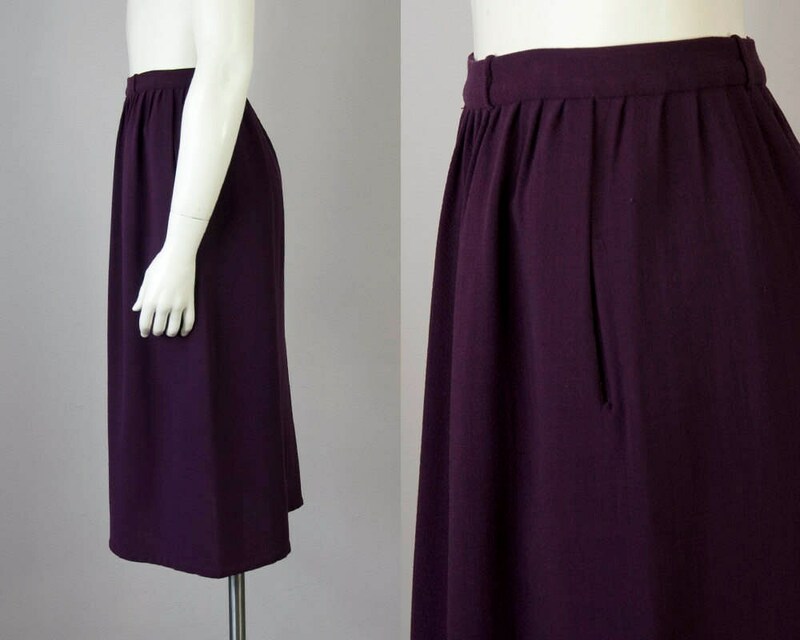 High-waisted with belt loops and pleats. 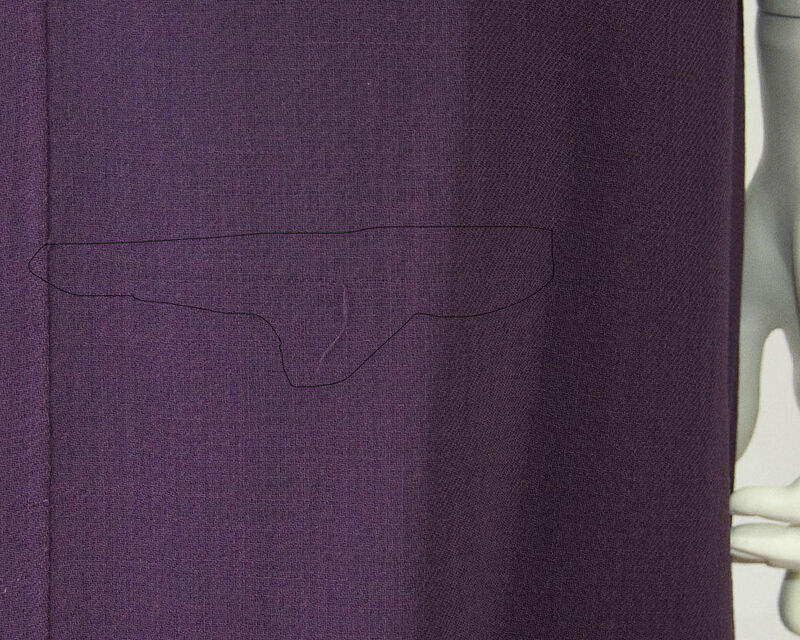 Fabric is a double layer of gauzy wool -- good weight. No lining. Back metal zipper with hook-n-eye closures (space in-between -- see 3rd photo. Could be moved so fabric comes together) . One side pocket. 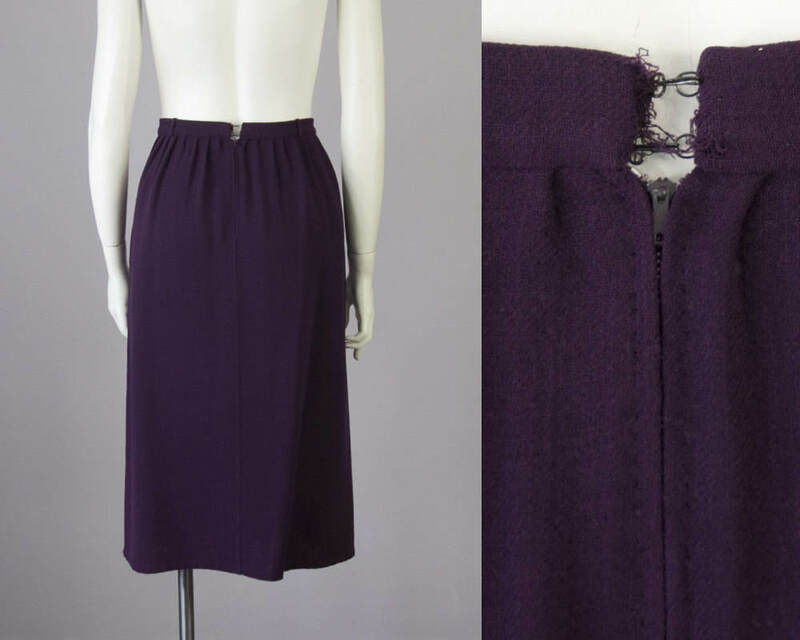 Skirt has only one seam down the back. 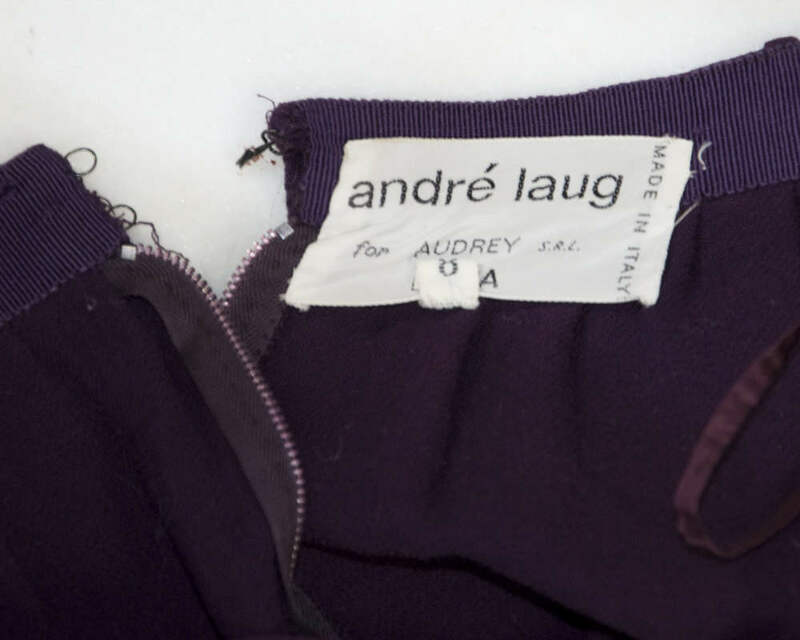 André Laug was one of the preferred designers for Audrey Hepburn -- to whom he dedicated the "Audrey" line. At the beginning of his career in the 1960s he designed for Nina Ricci and Courreges in Paris. After branching out on his own, he ran a successful haute couture and ready to wear fashion house from 1968 until his death in 1984. Imperfections: A run along the back -- see last photo. A few thread pulls.